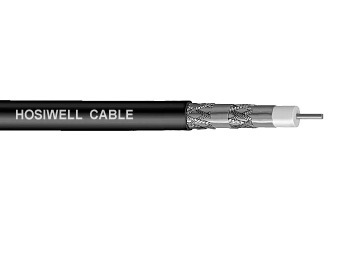 Video Application Interior lines for Monitoring system, CCTV feeder lines, Wiring between the camera and control unit and Video Signal transmission. 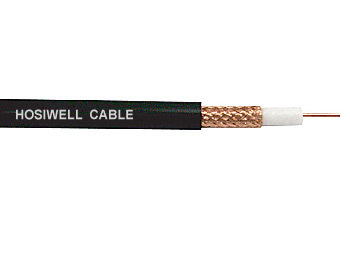 ข้อกำหนด คุณลักษณะของสินค้า (Specification): 75 Ohm PE Series Standard Construction: Solid or stranded, copper or copper covered steel conductor, PE insulation, bare copper braid shield 95% coverage. 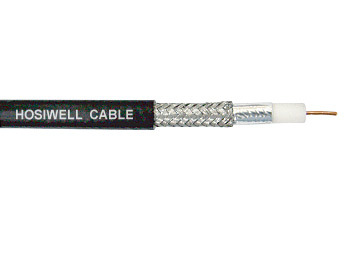 Product Description Conductor : No/mm (AWG) : 21/0.18 Mtrl. : BC Insulation : O.D. (mm. ): 4.9 Mtrl. : PE Shield : 95% BC Braid Jacket : O.D. (mm. ): 7.3 Mtrl. : PVC Nom. Capa. (Ω): 75 Nom. Capa. (pF/m. ): 67 Video Application Interior lines for Monitoring system, CCTV feeder lines, Wiring between the camera and control unit and Video Signal transmission.